Joe E. Tarry was born near Lovington, NM, and his wife, Leona, was born in Fort Sumner, NM, but considers Portales, NM, to be her hometown. Joe graduated with a double major and received a bachelor of arts in religion and history from Eastern New Mexico University and a master of divinity from Golden Gate Baptist Theological Seminary. Leona also attended Eastern New Mexico University, during which she worked at the Portales Daily News; she then received a certificate from Golden Gate Baptist Theological Seminary. Joe and Leona spent nearly 3 decades as missionaries in Brazil, and are now retired in Ruidoso, NM. Joe has written numerous books, including, Did Paul Approve of the Tongues Spoken in Corinth?, Created to be Spiritual: Understanding God’s daily battle with Satan for the hearts and minds of His people, and Jesus Restores True Spirituality: Understanding Satan’s Subtle Schemes to Hamper the Testimony of Christ’s People. This new book, The Marvel of It All, is Joe and Leona’s first co-authored book. For whosoever will call upon the name of the Lord will be saved. How then shall they call upon Him in whom they have not believed? And how shall they believe in Him whom they have not heard? And how shall they hear without a preacher? and the marvel of it all? When they felt God’s mysterious presence all around. they did in the land. We finally were standing on the deck of the cargo/passenger ship Del Norte. Each passenger held thin, colorful paper streamers that flapped in the breeze as the ship began to move. The captain seemed to enjoy blowing the deep bass foghorn to announce the ship’s leaving the New Orleans harbor. The multicolored streamers began to flow instead of flap in the breeze as the throbbing engines gained momentum. We finally were participating in the Del Norte’s departing ritual from the North American continent. Figures on the dock grew dimmer until they were unrecognizable. We were saying goodbye to our country, our lifestyle, and our friends and loved ones that we did not expect to see again for five years. At the same time we felt a mixture of joy and loneliness. Most of the passengers would return in a month, so for them this was not as great an event as this journey was for us. Time had arrived to turn our minds to the future. Three new missionary couples and 10 young children finally were on their way to Brazil, the land they would adopt for their new home. Three-month-old Charlotte Tarry and 11-month-old Jonathan Richardson seemed to be excited about whatever was going on and all the attention they were getting from everyone on the ship. Bill and Kathy Richardson from Oklahoma and Missouri had four boys; Billy and Noreta Morgan from Memphis, TN, had two boys and one girl; and we—Joe and Leona Tarry from New Mexico—had two boys and one girl. God had joined together these three families to add to the South Brazil mission, the largest of all Southern Baptist mission groups in the world, with more than 300 missionaries including their children. Our mission goal was to help bring more Brazilians to Jesus Christ as soon as possible in a country that was ripe for the harvest. Traveling by ship posed some concern for safety for those of us with small children. One danger was found in the heavy, thick doors to our rooms. A disaster could happen if a door closed on a finger or a child. The second danger was the deck. The parents were warned not to allow the children on deck without supervision. Our son Jonathan loved to look over the side to see the water. We held his hand whenever we walked on deck. Then the third danger was found in the stairwells because of the swaying of the ship. Although the ship principally was for cargo, the 150 passengers were treated royally; the trip was great. One other American couple, which hailed from Vanderbilt University, was on board with a boy and a girl. The husband was traveling to teach for a couple of years in a Brazilian university. On the cruise children were the main attraction, because most of the other passengers were older; many were grandparents. Some were appalled that we would take our precious children to live in a third-world country. We missionaries tried to get acquainted with others on the ship so we could witness to them. We played shuffleboard, swam in the small swimming pool, and participated in a few other activities. The ship’s captain granted permission for us to have worship services on the two Sundays at sea. One of those Sundays was Easter. Billy or Bill preached, I led the singing, and Noreta played the piano. We had good attendance. A Jewish lawyer gave each of us men $10 to buy a flower vase for the first mission that we started in Brazil. On Easter each child received a big, beautiful basket filled with goodies. That afternoon the children had a special party. The biggest event on a South American cruise is a special party planned by the social director when the ship crossed the Equator. At the initiation as pollywogs all participants were to wear costumes or to do something silly for the crowd. Leona had an Indian dress (which at the time was popular in New Mexico). My sons, Carl and Jonathan, and I took off our shirts and I painted our bodies and faces as Indian warriors, even though the boys’ hair was blond. We prepared Charlotte’s carrier as a cradle board; I carried her on my back. Crossing the Equator makes one a pollywog. The meals on the ship were fabulous. The noon meal was a buffet on deck; we ate as a family. At night babies were not allowed in the main dining room, so an attendant took care of Charlotte. The evening meals were planned around a theme of a different country, with decorations and the food that corresponded to the country chosen. Even the waiters’ costumes followed the theme. Birthdays and wedding anniversaries were commemorated with a special decorated cake presented to the honored guests. Everyone but me enjoyed the food. Most of the two weeks aboard I was sick. The ship’s doctor, a retired military man, thought what I had might be appendicitis; however, I did not have a fever. This was so unreal—the one time I had the opportunity to dine on delicious, fancy food, most of the time I could only eat soup and ice cream. While we were on board the ship, Leona and I celebrated our eighth wedding anniversary, but the servers mistakenly took the cake to another couple. The ship stopped for one day in San Juan, Puerto Rico. I went to a doctor for a second opinion to make sure my problem was not appendicitis; then each of the three families rented a Volkswagen. Billy had the map and planned our trip. All the street signs were in Spanish. At one point Billy turned onto a one-way street but did not know we were traveling the wrong way. At the end of the street we had to turn right; a police officer jumped into the street. He waved his hands and blew his shrill whistle. The officer was shaking his fist at Billy as Billy zoomed around the corner. When the officer saw that the car wasn’t going to stop, he jumped back up onto the sidewalk. Suddenly the officer realized another car was traveling down the street the wrong way. Bill could not let the Morgans get out of his sight, so he buzzed past as the officer in disbelief waved his hands frantically. We had no idea where we were in the city and couldn’t risk getting separated from the others. Leona and I also didn’t want to miss the ship, so we, too, blared past the officer, who at that moment may have swallowed his whistle in amazement. In seconds three Volkswagens had defied him and left him dazed. Our tour was cut short; we returned to the ship. We all were thankful to be back on the ship and sailing out of the harbor without having to answer for our actions. The ship stopped for a short visit on the gorgeous island of Barbados. Some of us took taxis to a very beautiful beach to swim for about three hours. I tried to understand why I was unable to eat the delicious food. I remembered the stress we had in getting everything ready. The months after our appointment on June 17, 1964, had been hectic. The Foreign Mission Board (now International Mission Board) wanted us to sail for Brazil in September, but we had girls’ and boys’ camp to supervise and unfinished plans to be completed for the church. First Southern Baptist Church in Porterville, CA, was to celebrate its 25th anniversary. Leona was expecting our third child in January, so the next sailing in December was too close to the due date of our baby. The next sailing date after that was the first part of April, so we made plans for that departure date. We made our plans to leave Porterville the third week of December so we could visit with our families for Christmas. Staying until December 1964 enabled us to complete three-and-a-half years at the church. Packing our things to ship to New Orleans, LA, was hectic. Not that we possessed so much, but the FMB had given us an allowance to buy necessities such as a refrigerator, mattresses, a washing machine, a dryer, and a few other things. Based on projections for the next five years we bought clothes for the children. We stuffed most of the clothes into the box-spring mattresses. Getting these things crated and getting paperwork done for our visas was pressing, since we also had activities to finish our ministry in Porterville. We celebrated Christmas in New Mexico with family. We visited my father in Lovington, 90 miles south of Portales. A widower since my mother died in 1942, he had reared his five children and now was alone; we needed to spend time with him. As we waited for our daughter’s birth, we visited relatives in the area and got documents together for our trip. The paperwork done in California for our visas was not valid, because with our move to New Mexico we now needed to go to the Brazilian consulate in Houston. We had a frustrating snag in getting police clearance from Roosevelt County in New Mexico. Since Leona’s dad, Mr. Isbell, had lived in the county for more than 25 years and was a well-known farmer, we thought the proper law-enforcement agency would be the county sheriff. The recently elected sheriff did not know us and was not sympathetic with our problem. Leona grew up in the county, but we had been out of the state for 6 1/2 years. The clearance from the California police department did not mean anything to him. He refused to give us a clearance because we had not been in New Mexico long enough to establish a record. The fact that we had been in California for seminary and that I had served as pastor of a church there did not matter. His attitude was obnoxious. When she arrived home, Leona shed tears of dismay and frustration. Since the sheriff rejected us, Mr. Isbell suggested that he go with Leona to the city police department. The chief had known the whole Isbell family for years and knew of Joe because he had been to the university in Portales. The police chief had no problem in giving us the police clearance. Charlotte was born on January 25, 1965, in Portales. Five weeks later she became sick with a cold. We took her to our doctor on Monday. Dr. Coleman examined her and told us she had a virus and that antibiotics would not affect it. The only thing to do was let the virus run its course. We watched her and often used a syringe to clean her nose of the thick mucus. On Wednesday she was not better, so we took her back to the doctor. He told us we could put her in the hospital but said the people there couldn’t do more for her than we could. We just needed to watch and keep her nose clear with a syringe. The thick mucus made breathing or nursing difficult. Dr. Coleman was the Isbell family doctor; he knew that Mr. Isbell was a farmer and had welding equipment for repairing broken farm machinery. The doctor told us that in the worse-case scenario we were to use Mr. Isbell’s oxygen tank. Later the doctor said that if he had realized how seriously ill Charlotte was, he never would have allowed us to return to the farm 10 miles in the country. We know that even at that point God was directing. This was the first of March; the nights still were cold. The house didn’t have central heating, so we slept on a hide-a-bed in the living room in which the gas stove was situated. All day Leona had been taking care of Charlotte. At about 11 p.m. she asked me to watch Charlotte while she got a little sleep. With every intention of staying awake I laid Charlotte on my chest. Somewhere around 1 a.m. I realized I had nodded off; Charlotte was not breathing. In her face she had no color of life. My commotion awoke Leona; her first thought was the oxygen tank. She ran to her parents’ bedroom door, knocked, and asked her dad for the oxygen tank. He immediately dressed to go get it. I gave Charlotte to Leona and ran to the telephone. I was so frustrated that I could not find the doctor’s number. I knew Leona could find it faster, so I took Charlotte. God guided me to give Charlotte rescue breathing. I put my mouth to her tiny mouth and blew, but the air would not go in. Her lungs were blocked. I blew more firmly but still saw no results. I blew still a little more firmly. Suddenly the obstruction moved; air went into her lungs. The Lord oriented me not to blow too firmly because of her tiny lungs. By now Leona had Dr. Coleman on the phone; he gave us three options. He could travel to the farm, 10 miles out of town; we could take her to the hospital and meet him; or he could send an ambulance and he would meet us at the hospital. Leona thought the last suggestion was best. Mr. Isbell arrived with the oxygen tank; Dr. Coleman gave instructions on how to use it by giving a phrase of instruction at a time. Leona repeated each phrase for me to hear. He advised me to hold Charlotte up close to the oxygen tank. Mr. Isbell was holding the tank; Mrs. Isbell was praying and watching. I was to gulp the oxygen and blow it into her mouth. Meanwhile Leona was at the door waiting for the ambulance. She could do nothing but pray and wait. She poured her heart out to God as she presented our case. We gladly had answered the call to go to Brazil. We were on our way to be missionaries. Why was this happening to us? Our prayers had been answered when God gave us a girl—our family was complete! Charlotte was such a beautiful little baby! “Why, oh why, God is this happening to us?” Leona prayed urgently. “Besides these things, oh Heavenly Father, you know what a difficult time I had in my pregnancy and delivery! God, you know my pregnancy with Charlotte was more difficult than with the boys. Then I had thrombophlebitis. You cannot take our baby!” The Lord gently guided Leona to a calmer understanding of the situation. What if Charlotte lived but as a vegetable without the mental capacity to ever do anything for herself? Leona finally was able to surrender Charlotte to God. She concluded her prayer by saying, “Lord, she is Yours more than ours. Your will be done.” At that moment a great peace swept through Leona’s entire body. I think this might have been the moment that Charlotte began giving the first signs of life. After I started giving Charlotte rescue breathing, I thought she would recover quickly. Five minutes passed without a sign of life except her body accepting the air. Ten minutes passed; still nothing happened. Fifteen minutes passed; she was still and silent. I remember that my back and arms began to ache because the oxygen tank was only about four-feet tall at the air spout, so I had to elevate my arms a little to get her body near the spout. I am amazed that I did not stop trying. God gave me the calmness and determination to continue blowing oxygen into her mouth. Twenty minutes passed, then 25. Finally Charlotte gave a tiny moan or groan, so I stopped and looked at her face. Her eyes fluttered but then closed again. I put my mouth to hers and started blowing oxygen again. About that time the ambulance zoomed past the house even though the porch light was on. Leona could not believe it! Who else at 1 in the morning would have on house lights? Soon the ambulance driver realized he had passed the house and returned. Charlotte was getting stronger, but if I stopped, she could not breathe alone. Moments later the paramedics rushed into the house. Suddenly one paramedic saw we were standing near the stove; he immediately was horrified. He screamed, “Get that fire out! Get that fire out! What do you want to do, blow up the whole house?” He partially was right. In our confusion about Charlotte’s condition we were standing right in front of the big propane gas stove while the oxygen tank spewed out oxygen. Even though one could see the fire, the flame was enclosed. That did not matter; the paramedics were frightened. If the flame had been open, none of us would have been around to tell this story. The Lord had protected us. The paramedics placed a tiny mask connected to a small oxygen tank over Charlotte’s nose. As she received the pure oxygen, Charlotte’s color began to improve. We rushed to the hospital. Charlotte’s hospital room was next to the nurses’ station. They put our daughter in a tent that had oxygen blowing in. The next day at noon she stopped breathing again. Leona pressed the panic button; the nurses ran in alongside Dr. Coleman. At that moment of our crisis Dr. Coleman had just walked into the hospital. He was prepared to do a tracheotomy on Charlotte but worked on her first and got her past the danger again. He remembered a new medicine that in that hospital had been used only two times. This medicine was named “mucomist” and worked to loosen and dissolve the mucus. As this new medication dripped, the oxygen blew it into the incubator. It formed a mist for Charlotte to breathe. Three days later we were able to take Charlotte home. She had a hoarse cough that Dr. Coleman said probably would continue until warm weather arrived, but as far as he could tell, she would be normal. Because of her weak situation the doctor wanted her protected from germs as much as possible. Later Dr. Coleman told a close friend of ours that the night we called, he didn’t think Charlotte would survive; he said he wouldn’t have given a dime for her life. I personally think that she died and that God gave her back to us. I do not tell this for any reason other than to praise God for His special blessing to us. Our confidence in God’s ability to do anything He desires became a reality. We were not special people just because we were willing to go to Brazil. We are no better than others that have suffered the death of a child and for whom God did not answer their prayers. God is a just God; unworthy as we were, God chose to give Charlotte back to us. Our daughter graduated from University of New Mexico and from Southwestern Baptist Theological Seminary in Fort Worth. 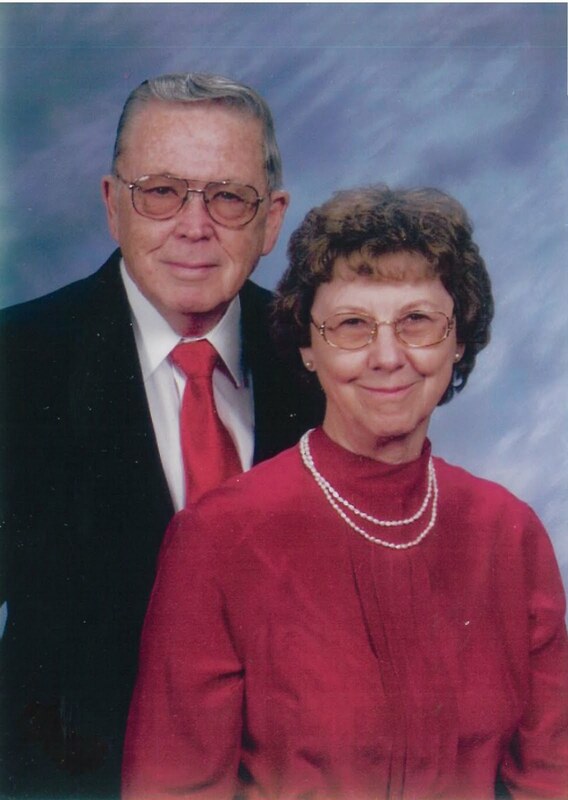 For seven years she and her husband, Jim Whitley, served as missionaries in Romania with the Roma (Gypsies) before the Whitleys transferred to Brazil to work with the Gypsy people. They have twin daughters and a son. Praise the Lord! The day after Charlotte was put in the hospital, we were supposed to be in Houston with our documents so we could visit the Brazilian consulate to get our visas. I called the consulate, which graciously gave us more time. A week after Charlotte left the hospital, by train we took her from Clovis, NM, to Houston. She enjoyed the rocking train. The Brazilian consulate officials were kind and sympathetic about the cause of our delay, but the situation rushed them to get the visas ready for our departure date. One week before the date for our departure from New Mexico, I called the Brazilian consulate; it could not confirm whether it could get the documents to us. We began to be concerned. The passages had already been bought for the voyage on the Del Norte ship. We did not want to miss it. Our train tickets from Clovis to New Orleans went through Houston. On Friday morning I called the consulate to see whether the passports had been mailed. The passports were ready but had not been mailed. Another miracle! The consulate agreed to allow Kenneth Wise, a Houstonian who had been Leona’s classmate in Portales, to pick up the documents. We called to ask him to pick up our passports from the consulate and to meet us at the train station on Sunday. Again, in this development, we saw the hand of God working. On Saturday afternoon we left Clovis, NM. When we arrived in Houston about 10 on Sunday morning, Kenneth Wise was on the platform and waited for us with our passports. Trusting that this plan would work we had gone by faith. We didn’t know we would have to go to a different train station to continue our journey to New Orleans. Kenneth and a taxi took us and all our luggage to the other train station. We arrived in New Orleans and found two taxis to get us and the luggage to our hotel. We were making our way up the sidewalk to the hotel just as the Morgans and Richardsons were leaving for a stroll. With these two missionary families we were to journey to Brazil. 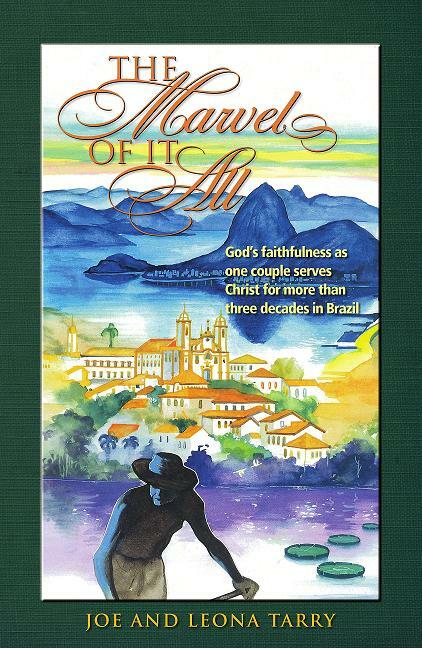 This was not just a journey to Brazil but a life journey of Christian love, fellowship, and experiences. Yes, God was present with us all along the way, to the most minute detail. Now more than 45 years later I still have my appendix. I began to understand that I have a very sensitive nervous system and that emotional stress can show up in various parts of my body, especially my stomach, even though I think I am calm. One thing I really enjoy is eating, but under stress my digestive system does not accept food. Despite all that wonderful food on the voyage to Brazil I could eat only ice cream and soup. Late in the afternoon of April 21, 1965, we were advised that the ship was entering the famous Rio de Janeiro harbor. We were eager to set our feet on Brazilian soil. As the passengers stood on the deck, one could hear exclamations of ooh’s and ahh’s. We had a clear view of the spectacular panorama of the world-famous Rio de Janeiro Bay. Corcovado, the great statue of Christ the Redeemer, towered over the area. To the right and below was Sugar Loaf Mountain, also a famous landmark of the bay. The famous Copacabana beach also became visible as we neared the dock. The background of towering rugged mountains, bluish and green in color, made a spectacular panorama for the gleaming maze of skyscrapers that crowded right to the docks. The ship was to be at this port only until midnight. Our destination as missionaries was further down the coast, about 200 miles south to the Port of Santos. The missionaries in Rio had planned a welcome and get-acquainted meal at the South Brazil Seminary dining room. At that time about 20 missionary couples were stationed in Rio de Janeiro, because the all-Brazil mission headquarters, the largest of three seminaries, the Baptist publishing house, the women’s training school, and other Brazilian Baptist organizations were situated here. The Morgans, Richardsons, and Tarrys—all except for me—were taken to the seminary. Missionary colleague Dr. Lester Bell took me to see a doctor at the Evangelical Hospital. That was some ride! By the time we left the ship, darkness was setting in. As he drove, Dr. Bell zoomed in and out of the crowded lanes just as the Brazilians do. Motorists don’t use their headlights at night unless they want to warn the approaching car of some maneuver. Dim streetlights represented all the light they needed. Anyway, I had never seen such a ride—nor was I prepared for it. Dr. Bell didn’t try to scare me, for he was a very kind and considerate man. I later learned how to drive in the Brazilian traffic, too; doing so simply became natural. But that ride did not lower my blood pressure any. The doctor assured me that I did not have appendicitis. Whatever the problem was, I would just have to live with it. By the time Dr. Bell and I returned to the seminary, the meal and most of the welcoming celebrations were over. The mission treasurer gave each of us three new couples a package of money. We all became instant millionaires. Inflation was so bad in Brazil that our monthly salary in their currency was worth more than a million cruzeiros. We were taken back to the ship. By the time the kids were in bed, the tugboat had pulled the Del Norte far enough into the bay that the powerful engines could be turned up into a dull, throbbing noise. Forward progress began; the loud bass foghorn began its ritual of warning the ships and fish that we were picking up speed and leaving Rio de Janeiro Bay. “Last call for breakfast; last call for breakfast,” the steward called as he rang a little bell in his hand. As the steward’s voice faded down the corridor, I remembered that this was the last day aboard the ship. Because of our small children we missionaries received our breakfast in our rooms. Joy and anxiety raced through my body and mind as I thought of reaching our destination. The other missionary families on board seemed to experience the same feeling. Not that we were complaining about our ship, because Southern Baptists provided us with an opportunity that we might never have again. With high-class food, excellent service, and time for leisure, why the anxiety? Well, appointment service, two weeks of orientation, getting physicals, getting proper shots and documents for passports and visas, buying clothes and even Christmas presents for a five-year term in Brazil all were exhausting. Add to that the crating process to ship all these things while we were busy completing the plans on the church calendar. We packed and moved to New Mexico things that we didn’t want to take to Brazil. We had three months with our parents as we waited for Charlotte to be born and for time for our ship to leave. We had two weeks on the ship, which should have been restful, but I began to feel my nerve fibers pulling. We were ready to settle into our new location. We were not accustomed to being unsettled so long. And of course we were eager to be in the land God had laid on our hearts to serve Him. On this last morning a birthday party was planned for Carl. Carl’s 5th birthday really was the next day, April 23, but the ship’s social director had planned a party for him before we reached Santos. Carl had a birthday cake and several presents the ship’s social department provided. The attendant that cared for Charlotte each evening during the dinnertime was very good to us. She gave us a box of baby bottles and a box of baby food that had been bought for Charlotte. As we descended the gangplank on Friday, about 30 language-school missionaries, including their children, met us. We three men would return to Santos on Monday with a veteran missionary to begin the paper work to get our things out of customs. We ate our first Brazilian meal at a restaurant. The first thing the waiters brought was a drink unfamiliar to us. Everyone was drinking the same thing: Guarana. I examined the label on the bottle and read champagne. My heart sank! I could not believe that my Baptist colleagues could sink so low as to drink champagne. When they poured their drinks into their glasses, white foam rose to the top. I put mine down with the resolution not to drink it. Soon some of them started laughing. They explained that it had no alcoholic content. Guarana is made from the Guarana berry and is perfectly harmless. Well, that became a favorite joke the Tarrys later played on visiting guests from the States. The language students took us to a beautiful beach and made a full day out of the trip to meet us. We had a great time on the beach, but the fun ended when jellyfish stung two of us. Darkness was setting in as we left Santos for Campinas. As we left the coast, we started climbing a curvy, mountainous road. We discovered a new custom: when a car wanted to pass, the bus driver turned off his lights. Our driver could see a little from the lights behind us and from the moon. By the glow of lights about to top the hill in front of us, the car behind could see whether another vehicle was approaching. According to the custom the driver felt safe to pass if he didn’t see any approaching lights. After the car passed, our driver turned his lights on again. We arrived in Campinas about 10 p.m. Arrangements had been made for us to stay with Gene and Aleene Wise (brother of Kenneth Wise, who had helped us in Houston) when we arrived in Campinas. The Wises had not gone to Santos to meet us because Aleene was sick. They graciously welcomed us. Our assignment in Brazil officially had begun.